Background: Elizabeth Ann Warren began her career as a professor and lecturer from the 1970s to the 1990s. In 1995, she was asked to advise the National Bankruptcy Review Commission. She helped to draft the commission's report and worked for several years to oppose legislation intended restrict the rights of consumers to file for bankruptcy, though she was unsuccessful in her attempts. Warren was named Assistant to the President by Barack Obama in 2010 as well as Special Advisor to the Secretary of the Treasury on the Consumer Financial Protection Bureau. She was able to use these new positions to set up the new CFPB. In 2013, Warren was sworn in as the Senator of Massachusetts. Government: Warren proposed the Anti-Corruption & Public Integrity Act. This would institute a lifetime ban on lobbying and ban federally elected and appointed officials from owning individual stocks. She was also an early advocate for a new Consumer Financial Protection Bureau (CFPB). Reintroduced the Glass-Steagall Legislation with John McCain, Maria Cantwell and Angus King. Abortion: Warren opposes nominees who "oppose legal abortion." She once shared a story about a couple who got an abortion in the third trimester, saying that they did what "was best for their baby girl." Criminal Justice: Warren believes the U.S. justice system is inherently racist and unfairly targets American minorities. Immigration: Supports the DREAM Act and is against President Trump's border wall. She sponsored the creation of the Dreamer Confidentiality Act, which would ban the DHS from passing DACA information to ICE and CBP. Healthcare: Warren supported Bernie Sanders' socialist Medicare for All Bill, which would cover medical insurance not covered by Medicare. 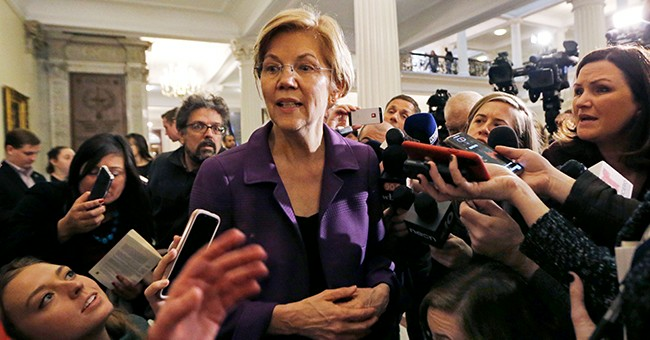 Warren has claimed to be of Native American descent, particularly when trying secure a teaching gig at Harvard University. This fall she released DNA results to "prove" she was 1/1,024th Native American, but the stunt backfired. She recently apologized to the Cherokee nation for the debacle. However, it was exposed earlier this week that she also labeled herself as "American Indian" on her registration for the State Bar of Texas in 1986.